Reminiscent of south France’s Riviera, Sofitel Sanya Leeman Resort welcomes you in the best location of Haitang Bay, a shore labeled national coast of Sanya. The resort boasts 477 stylish rooms and suites highlight by the Sky Signature Suite on the top floor. Discover the pure “Plaisir” through an authentic gastronomy in one of hotel’s 3 restaurants and 3 bars and enjoy unforgettable meeting experience in our Ballroom or one of 7 meeting rooms which will be tailor-made by professional InspiredMeetings team. Indulge yourself into a spa treatment with L’Occitane, have a magnifique sky tour by our helicopters, or explore the fun-filled activities include themed outdoor swimming pools, horse riding, archery, kid’s club with kid’s pool, tennis court, mahjong rooms as well as KTV private rooms. If you want to stay in the best hotel in Sanya, China, please come to Trip.com for a custom trip. 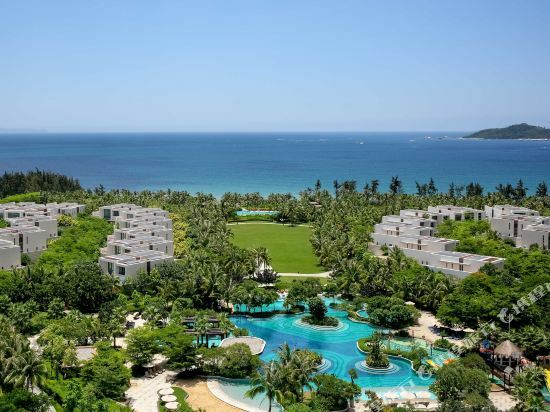 Staying in exclusive Sanya Sofitel hotel Trip.com offers, you can fully relax and enjoy the stay in Sanya and around Sanya. All these Sanya Sofitel hotels lead in the industry in aspects of environment and recreation facilities, providing the best hotel service in Sanya. To ensure that you can find the latest Sofitel hotel in Sanya, the latest hotel price as well as hotel facilities and indoor facilities information will be offered. In the meantime, detailed photos of Sanya Sofitel hotel will be displayed, making you know quickly whether hotel’s interior environment meets your taste. Besides, you can know specific location and reviews on Sanya Sofitel hotel from millions of users. If you want a nice room with limited budget, please filter through price and distance to get an appropriate Sanya Sofitel hotel. To ensure you can experience the best Sanya Sofitel hotel, users and we give a comprehensive rating on hotel, which gives useful help. Believe it or not, as the biggest online travel service company, we have the best service assurance and perfect users’ experience to meet your requirements in different aspects, no matter it’s Sanya hotel or Sanya Sofitel hotel.